It is well known that cardiovascular events occur more frequently in the morning as blood pressure (BP) levels have been shown to increase during the period from night to early morning. In recent years, clinical research using ambulatory blood pressure monitoring (ABPM) or home BP monitoring has clarified that morning BP and BP surge are more closely related to the cardiovascular risk than clinical BP. This practical manual from field leading expert, Dr. Kazuomi Kario, reviews recent evidence on morning and nocturnal hypertension and the IT technologies physicians can use to support patients in home monitoring BP. 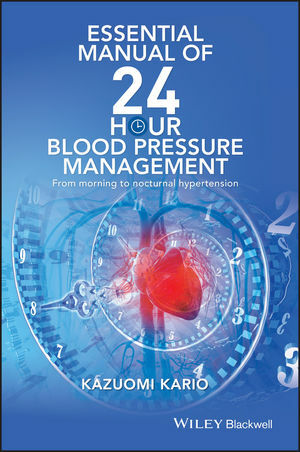 Guidance on management via antihypertensive drugs is also discussed and with the aim of promoting perfect 24 hour BP control.